Altimeter The altimeter is an instrument that measures the height of an aircraft above a given pressure level. Pressure levels are discussed later in detail. Since the altimeter is the only instrument that is capable of indicating altitude, this is one of the most vital instruments installed in the aircraft. To use the altimeter effectively, the pilot must understand the operation of the instrument, as well as the errors associated with the altimeter and how each affect the indication. A stack of sealed aneroid wafers comprise the main component of the altimeter. An aneroid wafer is a sealed wafer that is evacuated to an internal pressure of 29.92 inches of mercury ("Hg). These wafers are free to expand and contract with changes to the static pressure. A higher static pressure presses down on the wafers and causes them to collapse. A lower static pressure (less than 29.92 "Hg) allows the wafers to expand. A mechanical linkage connects the wafer movement to the needles on the indicator face, which translates compression of the wafers into a decrease in altitude and translates an expansion of the wafers into an increase in altitude. [Figure 8-2] Notice how the static pressure is introduced into the rear of the sealed altimeter case. The altimeter’s outer chamber is sealed, which allows the static pressure to surround the aneroid wafers. If the static pressure is higher than the pressure in the aneroid wafers (29.92 "Hg), then the wafers are compressed until the pressure inside the wafers is equal to the surrounding static pressure. Conversely, if the static pressure is less than the pressure inside of the wafers, the wafers are able to expand which increases the volume. The expansion and contraction of the wafers moves the mechanical linkage which drives the needles on the face of the altimeter. Principle of Operation The pressure altimeter is an aneroid barometer that measures the pressure of the atmosphere at the level where the altimeter is located and presents an altitude indication in feet. The altimeter uses static pressure as its source of operation. Air is denser at sea level than aloft—as altitude increases, atmospheric pressure decreases. This difference in pressure at various levels causes the altimeter to indicate changes in altitude. The presentation of altitude varies considerably between different types of altimeters. Some have one pointer while others have two or more. Only the multipointer type is discussed in this handbook. The dial of a typical altimeter is graduated with numerals arranged clockwise from zero to nine. Movement of the aneroid element is transmitted through gears to the three hands that indicate altitude. In Figure 8-2, the long, thin needle with the inverted triangle at the end indicates tens of thousands of feet; the short, wide needle indicates thousands of feet; and the long needle on top indicates hundreds of feet. This indicated altitude is correct, however, only when the sea level barometric pressure is standard (29.92 "Hg), the sea level free air temperature is standard (+15 degrees Celsius (°C) or 59 degrees Fahrenheit (°F)), and the pressure and temperature decrease at a standard rate with an increase in altitude. Adjustments for nonstandard pressures are accomplished by setting the corrected pressure into a barometric scale located on the face of the altimeter. The barometric pressure window is sometimes referred to as the Kollsman window; only after the altimeter is set does it indicate the correct altitude. The word “correct” will need to be better explained when referring to types of altitudes, but is commonly used in this case to denote the approximate altitude above sea level. In other words, the indicated altitude refers to the altitude read off of the altitude which is uncorrected, after the barometric pressure setting is dialed into the Kollsman window. The additional types of altitudes are further explained later. Effect of Nonstandard Pressure and Temperature It is easy to maintain a consistent height above ground if the barometric pressure and temperature remain constant, but this is rarely the case. The pressure and temperature can change between takeoff and landing even on a local flight. If these changes are not taken into consideration, flight becomes dangerous. If altimeters could not be adjusted for nonstandard pressure, a hazardous situation could occur. For example, if an aircraft is flown from a high pressure area to a low pressure area without adjusting the altimeter, a constant altitude will be displayed, but the actual height of the aircraft above the ground would be lower then the indicated altitude. There is an old aviation axiom: “GOING FROM A HIGH TO A LOW, LOOK OUT BELOW.” Conversely, if an aircraft is flown from a low pressure area to a high pressure area without an adjustment of the altimeter, the actual altitude of the aircraft is higher than the indicated altitude. Once in flight, it is important to frequently obtain current altimeter settings en route to ensure terrain and obstruction clearance. Many altimeters do not have an accurate means of being adjusted for barometric pressures in excess of 31.00 "Hg. When the altimeter cannot be set to the higher pressure setting, the aircraft actual altitude is higher than the altimeter indicates. When low barometric pressure conditions occur (below 28.00), flight operations by aircraft unable to set the actual altimeter setting are not recommended. Adjustments to compensate for nonstandard pressure do not compensate for nonstandard temperature. Since cold air is denser than warm air, when operating in temperatures that are colder than standard, the altitude is lower than the altimeter indication. [Figure 8-3] It is the magnitude of this “difference” that determines the magnitude of the error. It is the difference due to colder temperatures that concerns the pilot. When flying into a cooler air mass while maintaining a constant indicated altitude, true altitude is lower. If terrain or obstacle clearance is a factor in selecting a cruising altitude, particularly in mountainous terrain, remember to anticipate that a colder-than-standard temperature places the aircraft lower than the altimeter indicates. Therefore, a higher indicated altitude may be required to provide adequate terrain clearance. When determining whether to add or subtract the amount of altimeter error, remember that when the actual pressure is lower than what is set in the altimeter window, the actual altitude of the aircraft is lower than what is indicated on the altimeter. The following is another method of computing the altitude deviation. Start by subtracting the current altimeter setting from 29.94 "Hg. Always remember to place the original setting as the top number. Then subtract the current altimeter setting. Mineral Wells altimeter setting 29.94 Abilene altimeter setting 29.69 29.94 – 29.69 = Difference 0.25 (Since 1 inch of pressure is equal to approximately 1,000 feet of altitude, 0.25 × 1,000 feet = 250 feet.) Always subtract the number from the indicated altitude. 2,600 – 250 = 2,350 Now, try a lower pressure setting. Adjust from altimeter setting 29.94 to 30.56 "Hg. Mineral Wells altimeter setting 29.94 Altimeter setting 30.56 29.94 – 30.56 = Difference –0.62 (Since 1 inch of pressure is equal to approximately 1,000 feet of altitude, 0.62 × 1,000 feet = 620 feet.) Always subtract the number from the indicated altitude. 2,600 – (–620) = 3,220 The pilot will be 620 feet high. Notice the difference is a negative number. Starting with the current indicated altitude of 2,600 feet, subtracting a negative number is the same as adding the two numbers. By utilizing this method, a pilot will better understand the importance of using the current altimeter setting (miscalculation of where and in what direction an error lies can affect safety; if altitude is lower than indicated altitude, an aircraft could be in danger of colliding with an obstacle). Altimeter Operation There are two means by which the altimeter pointers can be moved. The first is a change in air pressure, while the other is an adjustment to the barometric scale. When the aircraft climbs or descends, changing pressure within the altimeter case expands or contracts the aneroid barometer. This movement is transmitted through mechanical linkage to rotate the pointers. A decrease in pressure causes the altimeter to indicate an increase in altitude, and an increase in pressure causes the altimeter to indicate a decrease in altitude. Accordingly, if the aircraft is sitting on the ground with a pressure level of 29.98 "Hg and the pressure level changes to 29.68 "Hg, the altimeter would show an increase of approximately 300 feet in altitude. This pressure change is most noticeable when the aircraft is left parked over night. As the pressure falls, the altimeter interprets this as a climb. The altimeter indicates an altitude above the actual field elevation. If the barometric pressure setting is reset to the current altimeter setting of 29.68 "Hg, then the field elevation is again indicated on the altimeter. This pressure change is not as easily noticed in flight since aircraft fly at specific altitudes. The aircraft steadily decreases true altitude while the altimeter is held constant through pilot action as discussed in the previous section. Knowing the aircraft’s altitude is vitally important to a pilot. The pilot must be sure that the aircraft is flying high enough to clear the highest terrain or obstruction along the intended route. It is especially important to have accurate altitude information when visibility is restricted. To clear obstructions, the pilot must constantly be aware of the altitude of the aircraft and the elevation of the surrounding terrain. To reduce the possibility of a midair collision, it is essential to maintain altitude in accordance with air traffic rules. Types of Altitude Altitude in itself is a relevant term only when it is specifically stated to which type of altitude a pilot is referring. Normally when the term “altitude” is used, it is referring to altitude above sea level since this is the altitude which is used to depict obstacles and airspace, as well as to separate air traffic. Altitude is vertical distance above some point or level used as a reference. There are as many kinds of altitude as there are reference levels from which altitude is measured, and each may be used for specific reasons. Pilots are mainly concerned with five types of altitudes: 1. Indicated altitude—read directly from the altimeter (uncorrected) when it is set to the current altimeter setting. 2. True altitude—the vertical distance of the aircraft above sea level—the actual altitude. It is often expressed as feet above mean sea level (MSL). Airport, terrain, and obstacle elevations on aeronautical charts are true altitudes. 3. Absolute altitude—the vertical distance of an aircraft above the terrain, or above ground level (AGL). 4. Pressure altitude—the altitude indicated when the altimeter setting window (barometric scale) is adjusted to 29.92 "Hg. This is the altitude above the standard datum plane, which is a theoretical plane where air pressure (corrected to 15 °C) equals 29.92 "Hg. Pressure altitude is used to compute density altitude, true altitude, true airspeed (TAS), and other performance data. 5. Density altitude—pressure altitude corrected for variations from standard temperature. When conditions are standard, pressure altitude and density altitude are the same. If the temperature is above standard, the density altitude is higher than pressure altitude. If the temperature is below standard, the density altitude is lower than pressure altitude. This is an important altitude because it is directly related to the aircraft’s performance. A pilot must understand how the performance of the aircraft is directly related to the density of the air. The density of the air affects how much power a naturally aspirated engine produces, as well as how efficient the airfoils are. If there are fewer air molecules (lower pressure) to accelerate through the propeller, the acceleration to rotation speed is longer and thus produces a longer takeoff roll, which translates to a decrease in performance. As an example, consider an airport with a field elevation of 5,048 feet MSL where the standard temperature is 5 °C. Under these conditions, pressure altitude and density altitude are the same—5,048 feet. If the temperature changes to 30 °C, the density altitude increases to 7,855 feet. This means an aircraft would perform on takeoff as though the field elevation were 7,855 feet at standard temperature. Conversely, a temperature of –25 °C would result in a density altitude of 1,232 feet. An aircraft would perform much better under these conditions. 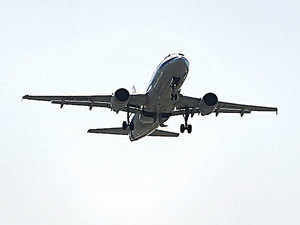 NEW DELHI: People flying business jets to Bengaluru and Hyderabad may soon be landing at the older airports in those cities as the aviation ministry is looking at a proposal to shift business aircraft movements out of congested airports in big cities. The proposal was discussed in a meeting convened by aviation secretary RN Choubey last month and Business Aircraft Operators Association (BAOA) has been asked to prepare a list of alternative airports, people familiar with the development said. We have been asked to identify alternate airports for general aviation flights in the country,” BAOA managing director RK Bali said. “Not all cities have alternate airports available but some of them have alternate airports, which we are going to suggest should be made available within 25 to 30 km, immediately and/or in the medium or long term,” he told ET. For example, according to industry insiders, while alternative airports in Mumbai and Delhi may not be immediately available, in Hyderabad and Bengaluru older airports can be used for business Jet operations. “Begumpet airport in Hyderabad and HAL airport in Bengaluru can be used for business jet operations and will be beneficial for business jet travellers too, as it will save time (being closer to the city),” one of them said. They said business jet operators would look at making proposed Navi Mumbai airport in Mumbai as their main airport whenever it comes up. 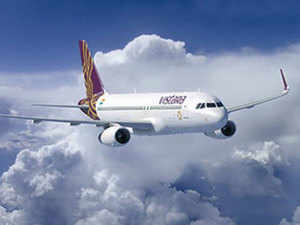 “For Delhi, there is enough capacity available, as a fourth runway is also coming up,” said the person quoted earlier. The move is in line with global trends — big airports like Heathrow in London and JFK airport in New York do not allow business jets to land and park. Confirming the development, a senior aviation ministry official said, “A proposal to shift general aviation to alternate airports was discussed and BAOA will discuss the matter with scheduled airlines to arrive at a feasible solution. Industry insiders said the government should look at increasing capacity at smaller airports to ensure that there are enough parking bays at these airports. “There are various problems with smaller airports across the country,” said Kanika Tekriwal, founder of JetSetGo, an online marketplace for private jets and helicopters. “While airport in Jabalpur does not have bays to park airplanes, airport in Aurangabad is open only for four hours due to lack of air traffic controllers to manage them. There are many such examples. The government should also look at building capacity and infrastructure at smaller airports to ensure that there is enough space to park,” she said. Capacity at many key airports in the country has reached saturation, making any flight additions by carriers difficult. Allowing airlines to operate flights out of alternate airports will help create some space at these airports. Vistara is likely to place an order for wide-bodied aircraft in the next few weeks as part of its plans to expand to long-haul overseas routes, people aware of the deliberations at the premium domestic carrier told ET. Although they did not specify the maker of the planes or the number likely to be ordered, the development signifies that Tata Sons, which runs the airline in a joint venture with Singapore Airlines, is pressing ahead with its plans for Vistara even as it remains undecided on whether to invest in Air India. The airline currently operates a fleet of 20 narrow-bodied Airbus A320 planes of about 180 seats. Wide-bodied planes typically have more than 300 seats, twin engines and a longer range of more than eight hours. “Vistara plans to induct wide-bodied planes irrespective of whether the Air India deal happens,” said one of the persons, who did not wish to be identified. Spokespersons at Vistara could not be reached for comment. The airline’s salt-to-software conglomerate parent is said to be interested in bidding for Air India, which has been put on the block by the government. One of the advantages is the national carrier’s international operations. Experts have said that it makes sense for the Tatas to systematically merge Air India at least operationally with Vistara if the deal fructifies. The Tatas also run a no-frills carrier, in a joint venture with Malaysia’s Air Asia. But a final decision from the Tatas hangs in a limbo as it is not enthused by the current terms of the bid — taking over majority of Air India’s debt and workforce; keeping it at arm’s length from other businesses, which rules out a merger of operations with an existing carrier; and conceding almost a quarter shareholding to the government. Tata Sons and several interested bidders are in talks with the government seeking changes to some of the bid conditions that they think are not conducive to investment, according to people in the know. Vistara’s plans for bigger planes and longer flights were first reported by ET in 2016, in an interview with the airline’s former CEO Phee Teik Yeoh, who spoke about potential long-term plans of starting direct flights to UK and US. Leslie Thng replaced Yeoh as CEO in October last year. He has said that Vistara plans to start with short-haul international operations to neighbouring destinations in the second half of 2018. He hasn’t elaborated on the airline’s long-haul plans. In January, ET reported that Vistara had plans to launch flights to Tehran first and then Singapore, citing a proposal to the aviation ministry. Separately, ET reported that Vistara and Singapore Airlines were working on an anti-trust immunity agreement which would help Vistara synergise operations with its parent through cross accessing of inventory and schedules. If Vistara places an order for wide-bodied aircraft, it will be the first such order from India since 2009, when Jet Airways had placed orders for Boeing 787 Dreamliners. Meanwhile, IndiGoNSE -0.02 %, India’s biggest a irline by market share, is charting its own plans of fresh orders for wide-bodied planes for planned operations to Europe and has reportedly selected the A330neo. Although IndiGo too had expressed interest in investing in Air India, it opted out on April 6, saying it was interested only in the state-owned carrier’s international operations and did not have the capability to turn around all of the national carrier’s domestic business. Vistara may opt for the Airbus A330neo (list priced between $254.8 million and $290.6 million), the A350 ($275 million-$311 million) or the Boeing 787 Dreamliner ($225 million-$306 million). The actual deal prices will be considerably discounted depending on the volume of the order. MUMBAI: New Delhi's Indira Gandhi International Airport has jumped six notches to break into the league of the top 20 busiest airports in the world for 2017 in terms of traffic volumes. The GMR-group-run New Delhi airport jumped from 22nd rank in 2016 to 16th rank, solidifying its status as one of the fastest growing airports in the world for passenger traffic, as per the Airports Council International (ACI). The ranking is based on the preliminary passenger traffic results for the most-travelled airports in 2017, released by the ACI today. Hartsfield-Jackson Atlanta International Airport (ATL) was ranked the busiest airport in the world with 103 million passengers (both departing and arriving) despite a 0.3 per cent decline in traffic volumes over 2016. Founded in 1991 with the objective of fostering cooperation among its member airports and other partners in world aviation, ACI is the trade association of the world's airports, currently serving 641 members operating from 1,953 airports across 176 countries. ACI's World Airport Traffic Forecasts also predicts that the country will represent the third largest aviation market, in terms of passenger throughput, after the US and China by 2020. "Delhi, the country's busiest airport for passenger traffic, grew by 14.1 per cent year-over-year at 63.45 million, pushing it up from 22nd to the 16th busiest airport in the world," the ACI said in the release. Even with this rapid growth in throughput, Delhi was also ranked first in Airport Service Quality for airports above 40 million passengers per annum along with the Mumbai airport, it said. Besides, Kolkata, Hyderabad, Bengaluru and Chennai were also ranked among the fastest growing airports in the world with an year-over-year growth of 26.9 per cent, 19.6 per cent, 12.9 per cent and 10.5 per cent, respectively during 2017, the ACI said in the release. Growing rapidly in relatively short period of time, India is poised to be one of the largest aviation markets in the world in the years to come, the ACI said. "With an astounding population base of over 1.3 billion inhabitants, the move towards a more liberalised aviation market coupled with stronger economic fundamentals has helped to awaken the Bengal tiger to become one of the fastest growing markets in the world," the ACI said. ACI's World Airport Traffic Forecasts predicts that the country will represent the third largest aviation market, in terms of passenger throughput, after the US and China by 2020, it added. 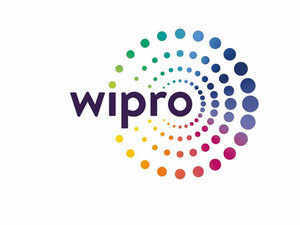 BENGALURU: Wipro Infrastructure Engineering (WIN) says it expects revenue to double to over $100 million from its aerospace business on the back of growing business from customers such as Airbus and Boeing. WIN has been around for close to four decades with deep expertise in hydraulic solutions space. Last year, WIN acquired HR Givon, an Israel-based aerospace metallic parts supplier, in a bid to broaden its portfolio and expand its footprint in the aviation and aerospace industry. The acquired entity has been renamed Wipro Givon. While Airbus and Boeing are large system integrators, the opportunity is to tie-up with the tier I and tier-II vendors of these plane makers who look to expand their partner network globally. WIN is looking at this opportunity, building capabilities in house and delivering systems and sub-systems to them. It is also looking to the tap the customer base of Wipro Technologies, offering clients an end to-end solution from design to manufacturing systems and subsystems from across its centres in India, Israel, Europe and the US. “Our approach has been to go beyond building expertise in the design and engineering side. To be able to graduate from what we are doing on the assemblies level to move on to become a subsystem player,” Kumar said. India’s offset policy is also an added incentive for WIN, which looks to tap the opportunity to deliver components and systems to global vendors who need to honour their commitment for planes and arms they sell to the country’s armed forces. In the past year, Indian suppliers are seeing an uptick in offset orders and expanding their facilities. “Offset order is a big attraction. There is lot of investment which is beginning to happen in anticipation that the offset opportunity will fructify. But it is still work in progress,” Kumar said. Airbus is actively looking at increasing its sourcing of composites—the most critical material that goes into making aircraft lighter and more fuel efficient—from India, said a senior executive in a recent interview. The suppliers being looked at include the Adani Group which is actively setting up capabilities in this segment, Ashish Saraf, Airbus' vice president for industry development, strategic partnerships and offsets told ET. Airbus has a total of 46 suppliers in India. It’s sourcing from India last year totalled over $550 million. Sourcing of composites will significantly increase this number. “The new area that we are looking to do is composites. We see a good supply base developing in India for that segment. Composites is a very high-tech, super-speciality manufacturing area. And it’s growing a lot as the presence of composites in airplanes these days is significantly higher than the previous years,” said Saraf, who is dubbed Airbus’ “Make in India” man. Prior to joining the Airbus Group, Saraf was the India head of the Tata-Sikorsky joint venture since 2010 and led Sikorsky’s industrialisation and strategic partnerships in India. “Adani Defence & Aerospace strongly believes that carbon composites and allied advanced materials will redefine the aerospace and defence industry in the coming years, similar to how aerospace grade aluminum and special alloys transformed the industry a few decades back,” said Ashish Rajvanshi, Head -Defence and Aerospace, Adani Group. The Adani Group has formed a joint venture with an Israeli company called Elbit Systems on unmanned aerial systems (UAS) or drones called the Hermes 900. Adani Defemce & Aerospace is now setting up a facility in Mundra, Gujarat to make carbon composite aerostructures. “The complex shall have 50,000 square feet carbon composites aero structures facility addressing the global and local needs for defence aerospace programs. The facility shall be doubled in the coming years to 100,000 sqft to further address the civil aircrafts programs,” Rajvanshi added. Making of composites will also be Adani's latest initative as part of its planned foray into aviation. The conglomerate's private airport in Mundra is one of the first to see a commencement of commercial flights under the government's regional connectivity scheme called UDAN (Ude Desh ka Aam Nagrik), which loosely translates to "Let the common man fly". It has also reportedly brought a majority stake in new regional airline Air Odisha, earlier owned by Air Deccan. Composites have now become increasingly popular in aerostructures to the extent that they account for 50%-70% of most new aircraft structures. Popular composite structures include fiberglass, carbon fiber, and fiber-reinforced matrix systems or any combination of any of these. The greatest advantage of these is weight reduction and a resultant fuel efficiency. Boeing’s 787 Dreamliner plane was the first one marketed primarily on its composite structure—it was 50% made of the material--made it significantly lighter and fuel efficient than its competing peers. Saraf said Airbus already does some sourcing of composites in India from Tata Advance Materials (TAML). TAML, part of the salt-to-software conglomerate Tata Sons, is a tier II or indirect supplier to Airbus and sells components that fit into its A320 family, the most popular airliner in the world, the widebodied A350 family, and the A380 jumbo jet, the biggest passenger aircraft by capacity currently flying. He added that some other companies such as the Goa-based Kineco Kaman Composites and the Adani Group are in the reckoning. Kineco Kaman is a joint venture company between Kineco Group of India and Kaman Aerospace of the US. The Indian aviation industry is estimated to grow by 18 per cent during FY2018, ratings agency ICRA said on Friday. "The domestic passenger traffic growth remained healthy backed by improvement in core growth drivers like economic environment and increasing tourism demand," the ratings agency said. "The strong demand has pushed the passenger load factor (PLF) to an all-time high of 86.5 per cent in the current fiscal and India remains one of the best performing key domestic aviation markets in the world in terms of PLF." As per ICRA, in terms of international routes, the Indian airlines continued to outperform the industry during the current year. "The international passenger traffic growth from India is estimated to be 10 per cent in FY2018, while the Indian airlines are expected to report a growth of 13.5 per cent during the same period," it said. "Increasing capacity deployment by Indian airlines on international routes and growing tourism demand are the key growth drivers. Resultantly, the market share of the Indian airlines on international routes has remained at an all-time high during the current fiscal," the ratings agency added. 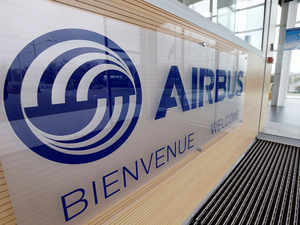 Vietnam’s FLC Group, one of the country’s largest conglomerates with interests in financial investments, real estate and mining, has signed a memorandum of understanding (MOU) with Airbus for up to 24 A321neo aircraft in a deal potentially valued at $3bn. It is planning to use the new jets for future operations by start-up carrier Bamboo Airways. The new airline is set to start services in 2019 with aircraft on lease from third-party lessors until its new A321neo start to be delivered from 2022. Initially, Bamboo Airways will focus on linking international markets to Vietnamese leisure destinations, as well as on selected domestic routes. In a major push to the government’s flagship regional connectivity scheme, Prime Minister Narendra Modi plans to almost double its reach by starting subsidised flights to 100 airports in the country. The Prime Minister’s Office has asked the civil aviation ministry to examine adding 44 airports under the scheme called Ude Desh ka Aam Nagrik (UDAN). “The aviation ministry has to examine the possibility of adding another 44 airports under the scheme,” said a senior government official who did not want to be identified. The government has announced flights connecting 56 airports and 31 helipads in the initial two phases. Under UDAN, air connectivity is provided to unserved and underserved airports at a subsidised fare of Rs 2,500 per hour. The subsidy is funded through a mix of a charge of Rs 5,000 per flight for all airlines operating on domestic trunk routes and through the Airports Authority of India’s dividend payment. Airlines and helicopter operators that have bid for and won these routes are in the process of starting flights. Only state-owned Air India and SpiceJet participated in phase I, while the second phase attracted IndiGo and Jet Airways, too. IndiGo has ordered 50 ATR aircraft for these routes and SpiceJet has increased the number of Bombardier Q 400 aircraft on order to 50. SpiceJet bid for routes without seeking subsidy in the first and second phase, IndiGo did not seek subsidy to operate regional flights. Widening regional air connectivity was in the BJP manifesto and the Prime Minister inaugurated the first flight under UDAN by Air India on the Shimla-New Delhi route in April last year. PM Modi, during the launch of the first flight, said his government intends to make people wearing hawai chappal (slippers) fly in hawai jahaaz (airplanes). The focus on expansion may mean the government will project the scheme as one of its achievements.